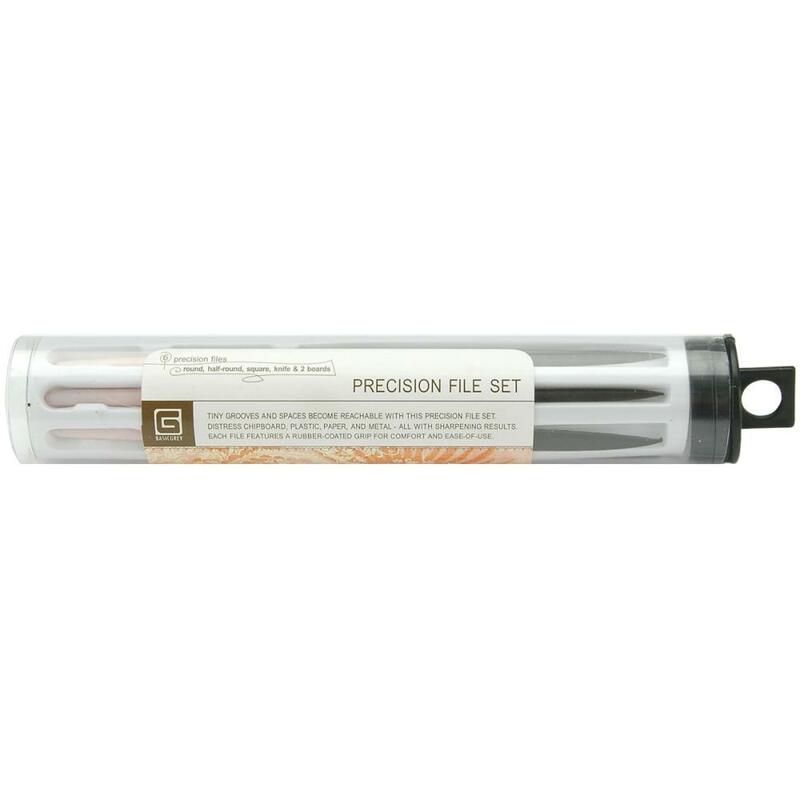 BASIC GREY-Precision File Set. Tiny groves and spaces become reachable with this precision file set. Distress chipboard, plastic, paper and metal with fun and unique effects. 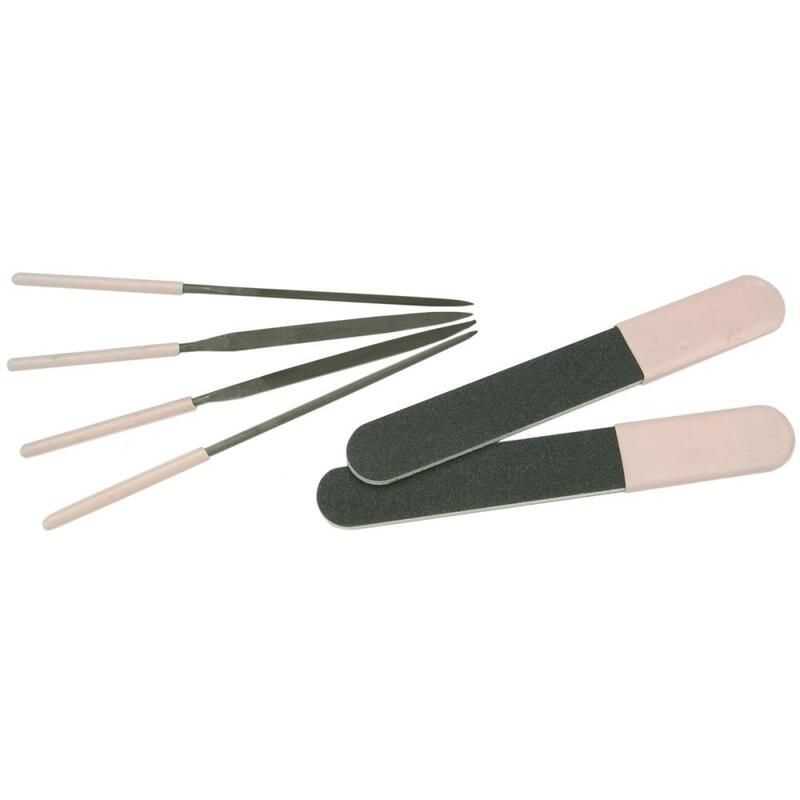 Each file features a rubber coated pink grip for comfort and ease-of-use. This package contains two 20mm flat double sided file and one of each: 5mm half round, 3mm square, 3mm round and 5x1-1/2mm knife.